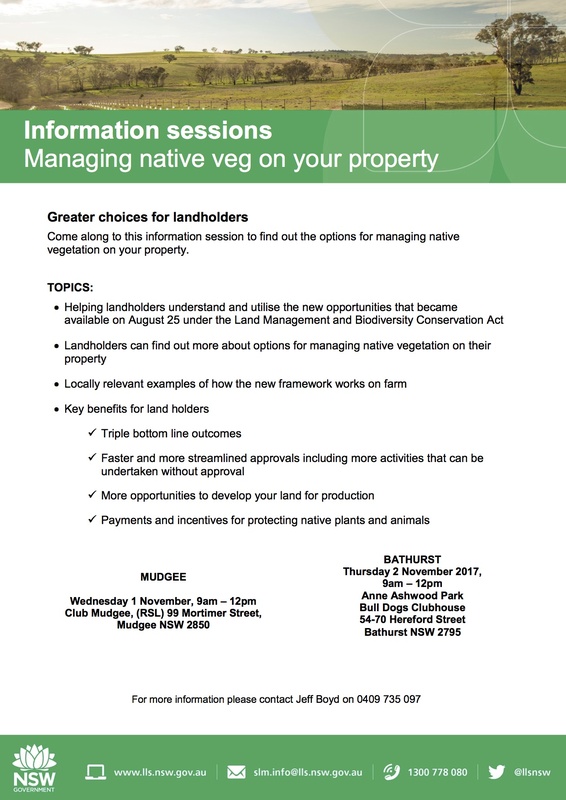 The Central Tablelands Local Land Services is holding information sessions for landholders on the options for managing native vegetation. For those Hartley residents keen to attend, the sessions will be held in Mudgee (1st November) and Bathurst (2nd November). More information is provided in the attached flyer.